Ayre: Live, the debut release from Against the Grain Theatre’s new in-house recording label, has earned a 2019 Juno Awards nomination for Classical Album of the Year, Vocal or Choral. 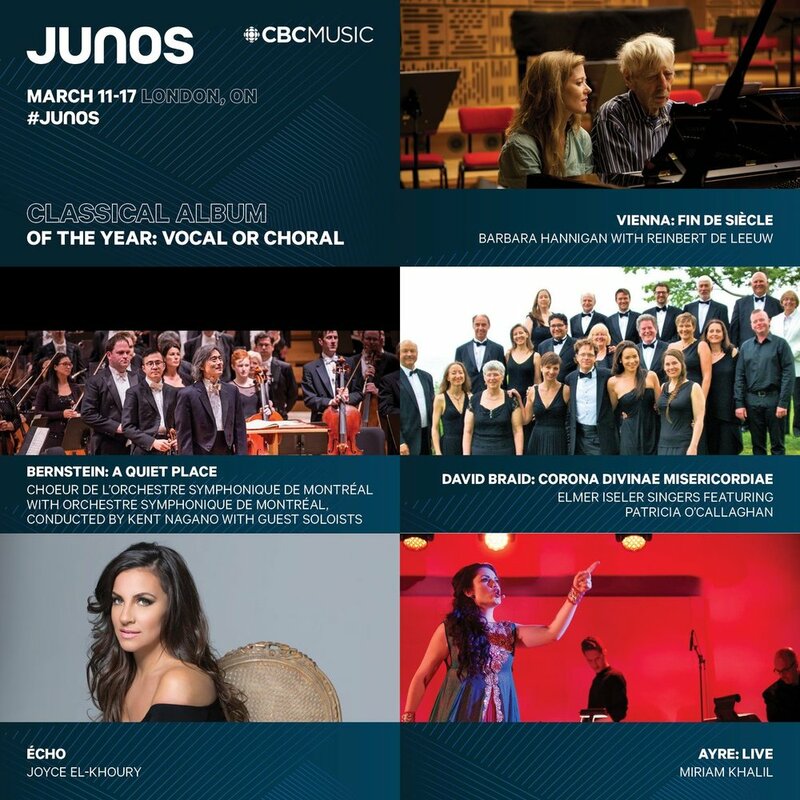 The album has been critically acclaimed for its performances by Lebanese-Canadian soprano Miriam Khalil, who dispatches Osvaldo Golijov’s eclectic song cycle – with elements of Byzantine chant, Sephardic lullabies, Sardinian protest songs, and Arabic, Hebrew, and Christian texts – with aplomb. "Ayre is so relentless in its storytelling that it’s almost exhausting – another emotional wave we can surely ride alongside Khalil, who sings the challenging work with her whole body. Few singers have the stamina or the stylistic palette that Khalil employs throughout Ayre, and it’s even more impressive when one remembers this is a live recording. With Ayre Live, Against the Grain Theatre has christened its new record label with a piece that evades definition, a game in which artistic director Joel Ivany excels. The recording is a nod to the opera collective’s roots, with its spotlight on founding member Khalil, but more importantly, it’s something that will make it into my daily playlist. It’s too bold for background music, too tough to forget after even just one listen."